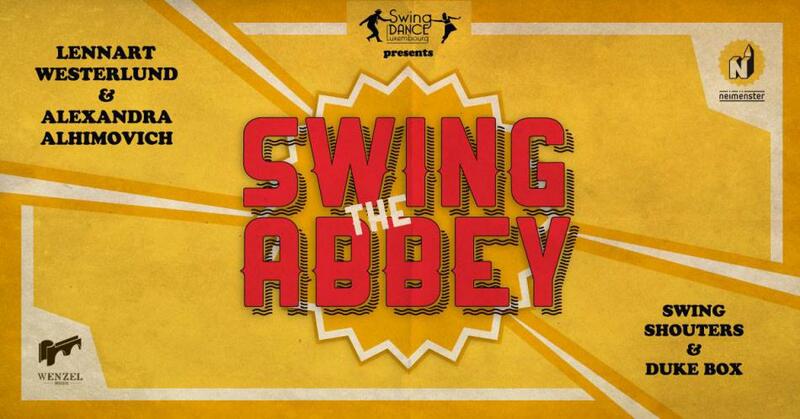 En: Welcome to Swing the Abbey! This first edition of the festival is organized by Swing Dance Luxembourg asbl in cooperation with neimënster. The focus of this event is on swing dancing and swing music, but this will not be just a weekend workshop. We have prepared many cozy and fun activities that will make this festival very special! We look forward to dancing with you in the breathtaking Abbey of Neumünster. Join us for a few days of swing dancing, live music, social dance, fantastic teachers and great vibes in the heart of the Grand Duchy of Luxembourg! Party with Swing Shouters Band on Saturday night! Duke box on Concert on Sunday night at the Brasserie Wenzel.